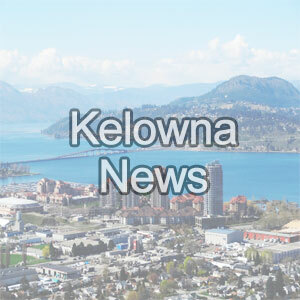 It reached 16.3°C in Kelowna, narrowly beating the previous record of 16.2°C that was set in 1988. Temperature records Kelowna first started being kept in 1899, which means Wednesday was the hottest March 20 in Kelowna in 120 years. Kelowna wasn’t the only Okanagan city to smash a record on Wednesday, as Vernon also hit a record high. Vernon reached 15.8°C, beating the previous record of 15.6°C that was set all the way back in 1915. Kelowna and Vernon were two of 48 temperature records set across British Columbia on Wednesday, following up 42 new records on Tuesday and 32 on Monday. A cat is fighting for its life after being hit by a car last week in Kelowna. A Good Samaritan witnessed the cat being hit and rushed it to an emergency vet, who named him Seven because that’s how many of its nine lives this poor feline has used up. Seven has a fractured pelvis and femur, requiring immediate surgery to remove one of his legs. Seven’s owner was found, but was unable to pay for the medical treatment, so the cat was surrendered to the BC SPCA. During the surgery, the vet team noticed Seven had breathing issues and discovered part of his liver was in his chest cavity, pressing on his lungs because of a tear in his diaphragm. Seven is stable for now but will have to go for another surgery when he is a bit stronger. The vet clinic has reduced its medical bill, but Seven’s care is still expected to cost about $4,800. ''The owner was unable to provide any kind of financial support … so they made the decision to surrender the cat," said Sean Hogan, branch manager Kelowna SPCA.